Amethyst is a violet variety of quartz often used in jewelry. The name comes from the ancient Greek ἀ a- ("not") and μέθυστοςméthystos ("intoxicated"), a reference to the belief that the stone protected its owner from drunkenness. It is one of several forms of quartz. 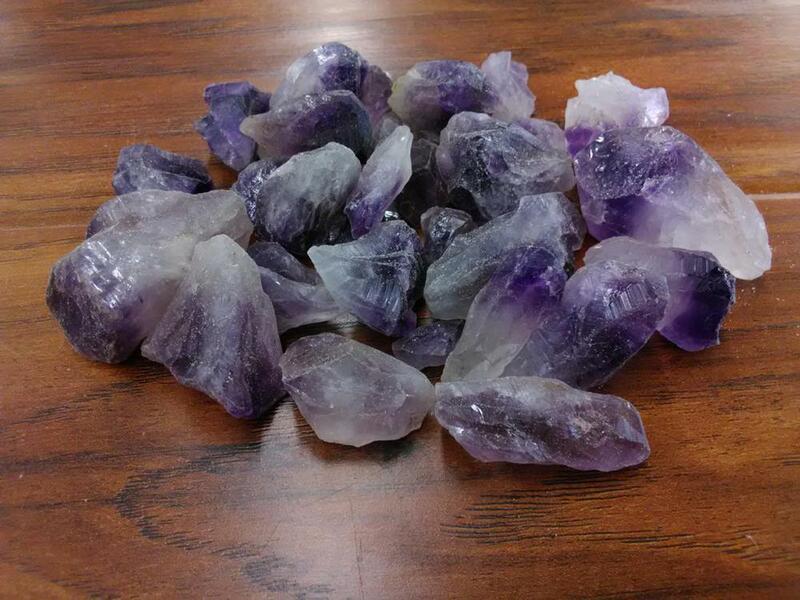 Amethyst is a semiprecious stone and is the traditional birthstone for February. This amethyst is light in color has some banding. Mine run is great for tumbling and cabbing. Crystals range in size from 1/2" - 1 1/2"